A comparison between the old and new KFC “Colonel” logos. To be completely honest, this is the first thing I thought of when I saw the new logo. I just had to make this. 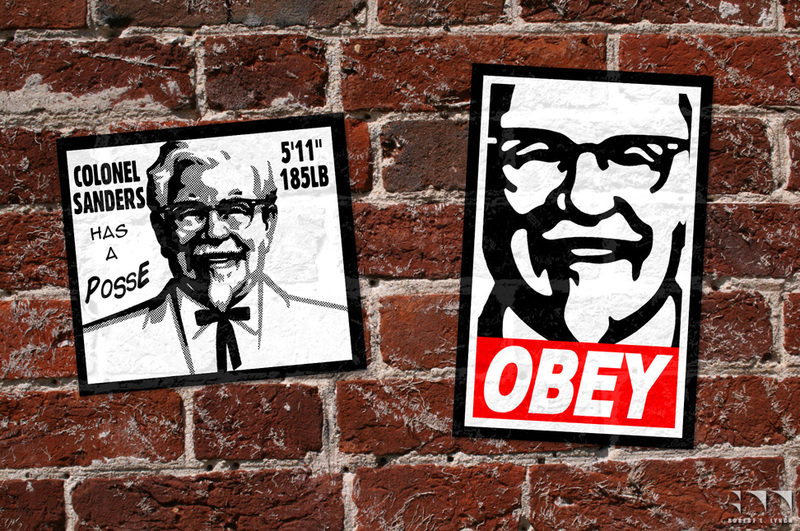 Original design by Shepard Fairey; logos copyright KFC (Obviously).